In developed countries like the United States, the inefficiencies and systematic faults of land and title registration are often for discussions of the past. The subject is more often associated with the 19th century's Manifest Destiny or John Steinbeck's Grapes of Wrath. While some issues of squatting, land disputes, and fraud exist within the Land Registry system of the United States, they occur as exceptions causing inconveniences rather than plagues in the modern society. Traverse the globe to the developing world and one will find ownership, registration, and transferability of land or title to resemble a labyrinth riddled with inefficiencies and corruption. 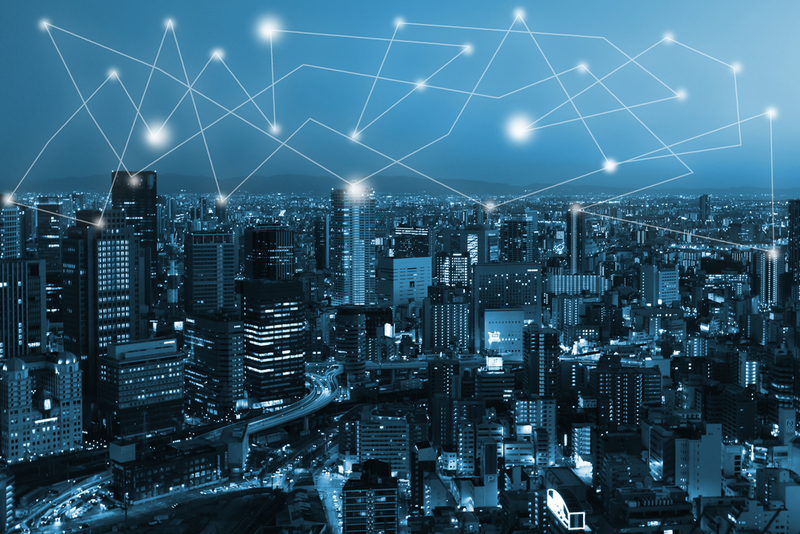 This post will explore the economic consequences of improper or fraudulent property and title registration, where blockchain could add value, and current pilot programs. This post assumes a basic understanding of economic principles and blockchain. Enter Hernando de Soto, famed Peruvian economist and author of The Mystery of Capital: Why Capitalism Triumphs in the West and Fails Everywhere Else . His work at the Institute for Liberty and Democracy in Lima has focused, in part, on the link between business and property rights and economic prosperity. In summary, his book greatly touches upon "The Shadow Economy" and how a significant portion of the world's poor conduct business in a system separate from the developed world. De Soto argues that this economy is inhibited by limitations on legal claim to assets - both commercial and residential. Imagine a fisherman off of the coast of Honduras, having spent two decades riding the seas but never obtaining a commercial fishing license. Follow him throughout the day, and eventually he'll return home - the term "home" here being a loose one. The fisherman has no deed or proof of purchase for the land his family calls home. His family may have squatted on the land years prior or it may have been improperly granted to him by a regime no longer in power. Regardless of how this home, or simply this asset, came into the fisherman's possession, the chain of ownership was either never properly documented to begin with (think squatting) or it was at some point broken (improperly granted). This presents the fisherman with a dilemma: without a commercial fishing license, he cannot take out a loan against the future cash flows of the business to buy a second boat and expand his operations. Additionally, as he cannot prove ownership of his land, he cannot use it as collateral for a loan. Even as he spends his wages improving the asset, perhaps by installing a plumbing system for the home, he receives nothing beyond the basic utility for his investment. Without clear ownership, the asset cannot be sold. The fisherman has two options: he can apply for a commercial license or register his property. De Soto's book argues that both paths feature bureaucratic nightmares with multi-year processes, high transaction costs, and corrupt legal proceedings. Even if the fisherman succeeds in registering his land, some systems feature hard copy storage, opaque or arduous transfer proceedings, and heavy intermediary costs. In short, the fisherman will find the process to claim legal ownership burdensome and even once obtained, he may still face trouble attracting investment into the asset, be it an equity partner in the fishing business or a lien against his home. This is the microeconomic case; the fisherman is unable to attract investment without establishing ownership or a means to efficiently transfer that ownership. Expanded to the macroeconomic case, a country without a mature system to award ownership or provide frictionless exchange of that ownership cannot attract foreign investment. The fisherman's home is a trapped asset, or as de Soto describes it, "dead capital." His book estimates approximately $20 trillion of "dead capital" in the world. For perspective, in June of 2017, the Bureau of Economic Analysis estimated the United States GDP at $19.3 trillion. The following assumes a basic understanding of blockchain technology. For a good primer, watch Don Tapscott's TEDTalk on "How the Blockchain is Changing Money and Business." Applied to national land registries, the blockchain would serve as a decentralized and tamper-proof digital system of record. It would detail with certainty who currently owns which asset (in this case, a piece of land), the moment and means of purchase, all prior transactions, and would ensure no duplicate entries for the same asset. In short, it would do the job of a properly functioning land registration system akin to the one found in the United States. The blockchain applied to a developing nation's land registration system would remove the reliance on a potentially corrupt or ineffective intermediary and minimize high transaction costs. Decentralization: Some land registries in the developing world function entirely on paper record with a centralized authority responsible for its safekeeping. This invites the potential for loss of records and a devastating blow to the fisherman. On the blockchain, records are decentralized and immutable. No one individual or agency is responsible for its safekeeping. Fraud resistance: Developing nations' registries are filled with fraudulent claims and transactions on land. Blockchain transactions require approval through the use of digital signatures. This protocol only permits a transactions to be placed onto the blockchain through mutual agreement between buyer and seller. As blocks are configured linearly with a sequential ordering embedded into the start and end of blocks, switching or fraudulently altering a past record is impossible. Reduced transaction costs: Where previously, the buyer and seller must visit a registrar and notary to confirm the validity of ownership and record transfer, the blockchain does this automatically, where the addition of a block functions like an automatic audit and validates ownership, confirming the asset is transferable. Over the past two years, the Republic of Georgia has become the First Government To Secure Land Titles On The Bitcoin Blockchain. The 2016 pilot program features the firm BitFury, de Soto, and the Georgian government joining forces to implement land registry on the blockchain. Using smartphones, Georgians can register land and transact on the blockchain, reducing frictions in registering and exchanging property. The current Georgian registry service, which requires physical attendance by transacting parties and steep fees, is being replaced by the blockchain. Ownership verification and proof of transaction no longer require a notary service, but are instead innate to the addition of another transaction onto the digital ledger. Back in 2015, Factom and Epigraph partnered to Tackle Land Disputes in Honduras, a country where improper titling has led to cases of violence amongst the nation's poor. This project seeks to place all title registration on the blockchain and invite new investment by demonstrating an efficient and corrupt-free system of assignment and transfer of claims to property. While these pilot programs are currently in their infancy, it is clear this technology has the potential to not only help the fisherman mortgage his home, but ideally increase foreign investment into parts of the developing world. In the next post, I will do a deeper dive on some pilot programs and also discuss the challenges that land registry on the blockchain may face.